All innovative solutions are designed and developed based on the “make it easy…” philosophy. Since it is the total experience that really matters, all Sitecom products are developed in great detail in order to offer a user-friendly “out of the box” experience. Sitecom offers solutions for sharing emotions. With a wide range of network and connectivity products, Sitecom makes it possible to share music and photographs, to send e-mails, to stream videos and to play games, as well as to communicate and work. Sitecom does not make the technology the central focus, but concentrates on the user and the applications. By offering advanced solutions which excel in user-friendliness, Sitecom makes the user's life easier. It’s easy with Sitecom. For Sitecom I have developed the new style, logically organized the products, developed in packaging, POS materials, digital training, digital product launches, corporate brochure, product brochures. 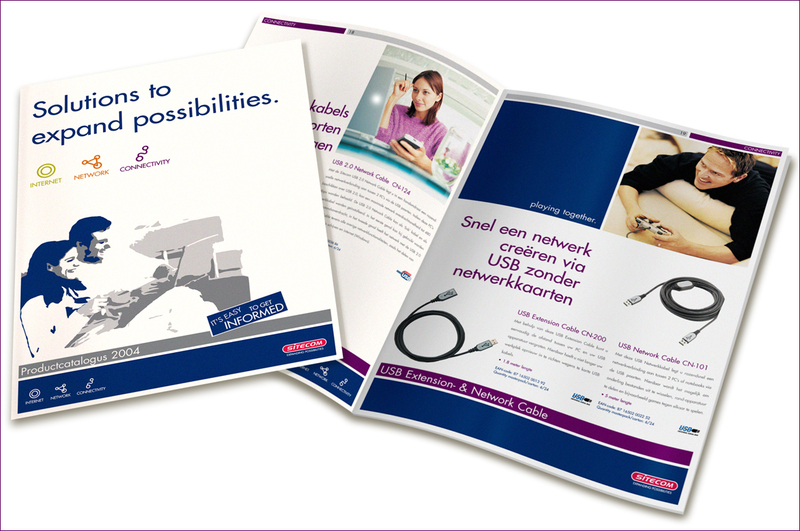 Corporate brochure and product brochures. Clear communication: I would like a wireless network, what do I need? 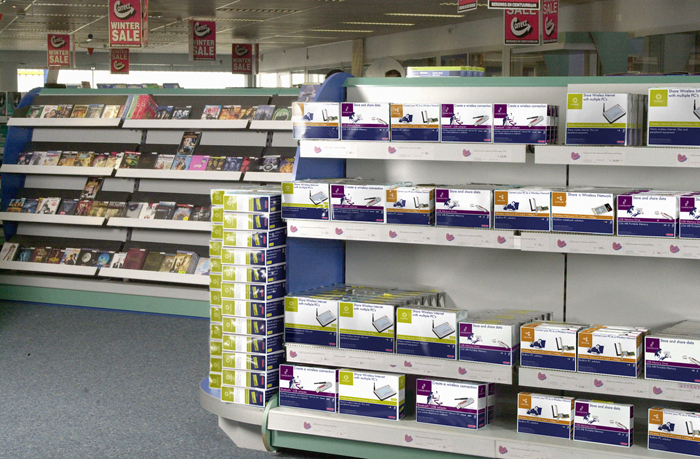 Displays in various sizes in stores. Packing Boxes in shops. “Store and share data” tells you what it does instead of just say USB memory drive.